Everywhere is a party at The LINQ Hotel & Casino: Here you'll find unique gambling experiences at The LINQ's table games, from our automotive-themed Winner's Circle to the high-energy gaming pits. Connect with Lady Luck on any of 830 hot Las Vegas slot machines that could hit a heart-pounding jackpot on any given spin! You'll find all your favorites when you play slots at The Linq Hotel & Casino, including video poker, progressives - including statewide favorites Megabucks and Wheel of Fortune, video reels and many more. We offer Las Vegas gamblers games in denominations from 1¢ to $25. 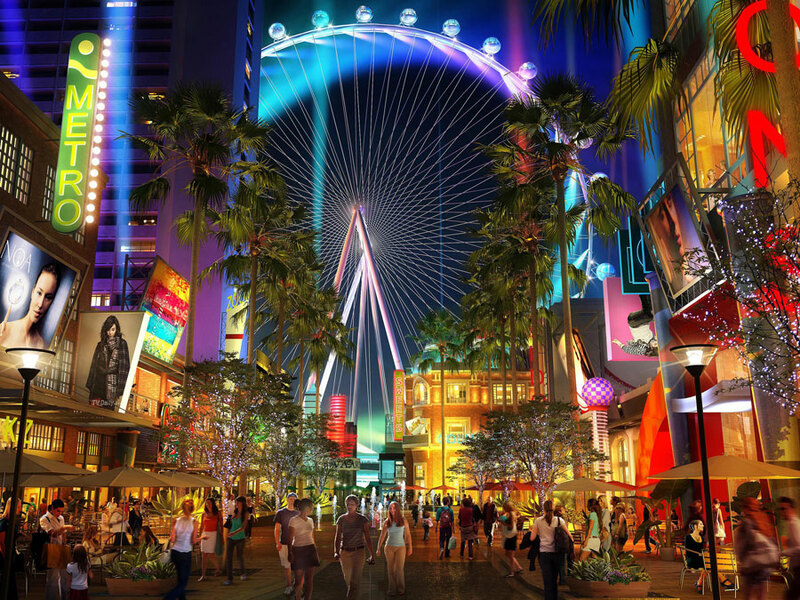 Hot new slots have arrived at The LINQ with more ways to win big jackpots. We've got a selection of new reel, video and poker slot machines. Hash House A Go Go - "Twisted Farm Food" at breakfast, lunch and dinner make for meals that challenge your very imagination at this restaurant featured on "Man V. Food." Nook Cafe - For handcrafted, healthy meals, head down to the Nook Cafe at the LINQ. Chanyo Mexican Kitchen - This dynamic two-story restaurant offers a fiesta daily with authentic Mexican offerings and an amazing patio, which has spectacular views of the LINQ Promenade and the High Roller. Nook Express - Fresh. Authentic. Served daily. It's the new Nook Express at The LINQ Hotel & Casino. This small eatery features an assortment of coffee, teas, delicious pastries and small bites that are sure to satisfy your taste buds any time of the day. Guy Fieri's Vegas Kitchen & Bar - Guy Fieri's first Las Vegas restaurant features a delicious blend of casual foods including an extensive variety of burgers, wings, tacos, small bites and shareable food items. Off The Strip - A Las Vegas locals' favorite, Off The Strip boasts a loyal following thanks to its classic bistro and bar comfort food. This two-story Strip location features three bars and indoor and outdoor dining.